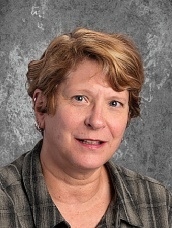 Candice Highfield, Home School Liaison from Hempfield School District, has been named the 2013 Pennsylvania Association of School Social Work Personnel School Social Worker/Home and School Visitor of the Year. Candice was presented her award by Chris Adams, Assistant Superintendent of Hempfield SD, at the PASSWP Statewide Conference. The conference was held at Founders Hall of the Milton Hershey School. “… Candice readily has answers and resources. She epitomizes the concept of social work in every deed, action, and service she provides. She empowers those who have been marginalized and helps them to thrive with dignity. She champions those our society too often overlook and seeks to balance the scales of justice and the social service system in their favor. ... She takes time to educate people about social work issues, and routinely prepares intern social workers for the “real world of social work”. Social work is a boots on the ground, grind it out for the thankless praise profession, that’s Candice. She is humbled by praise, quick to pass it on, and ever moving herself and others in a positive direction. Candice gained her Bachelor Social Work from Shippensburg State University and Masters Degree in Social Work from the University Maryland, Baltimore. She currently is enrolled in an EdD program at Immaculata University. Candice began her social work career with the Lebanon County CYS abuse unit before working for ChildLine. Candice then returned to the Child Abuse Unit in Lebanon as a supervisor for before taking on clinical and supervisory roles at the Adolescent Unit at Holy Spirit Hospital and KidsPeace. Candice began her work as a School Social Worker with the Lancaster Lebanon Intermediate Unit before coming to Hempfield. Here is a link is to the news article from Candice's local newspaper.